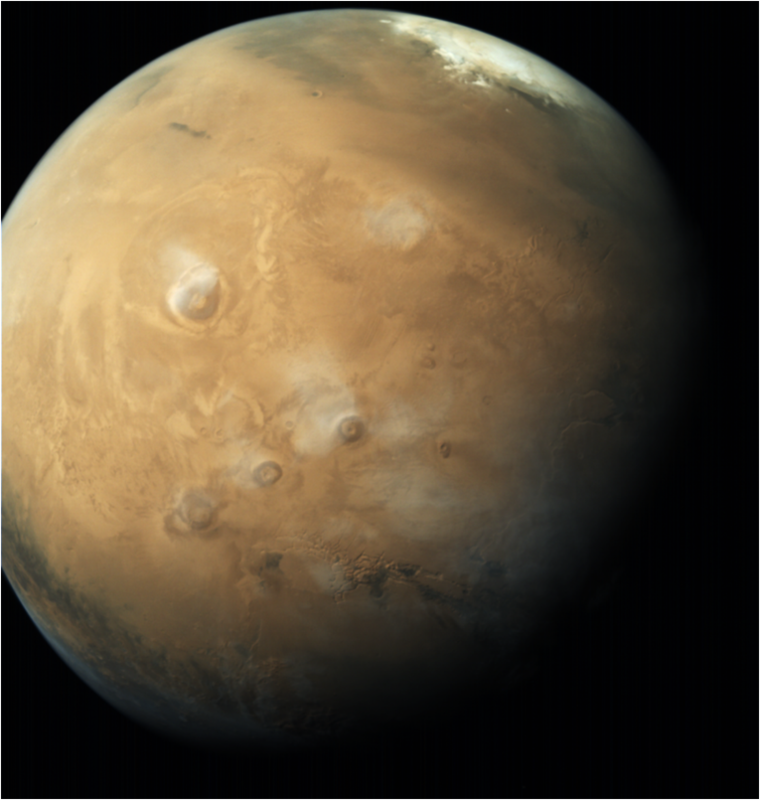 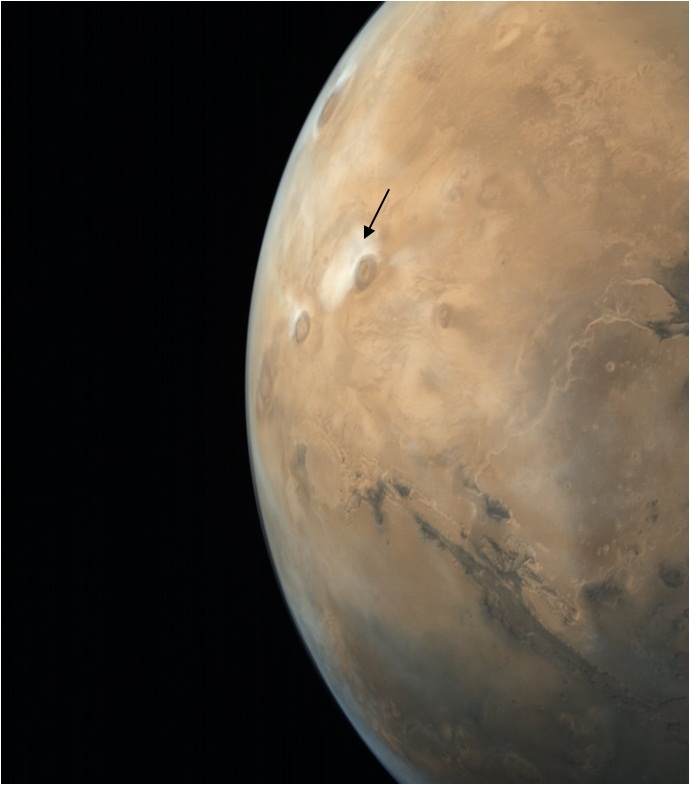 Mars color camera (MCC) captured a spectacular image of Olympus Mons, the loftiest mountain in the Solar system, on February 17, 2018 at a spatial resolution of 420 m from an altitude of 8075 km. 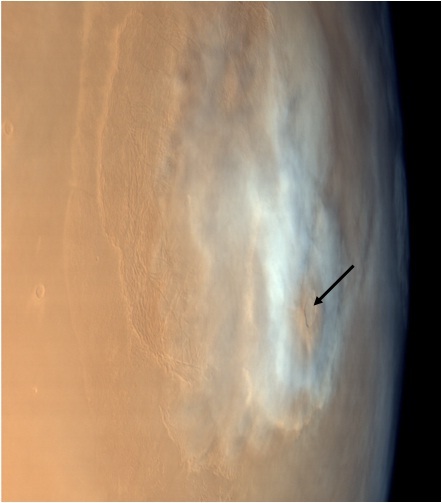 The bright (white) patches in the lower left part of the image show the water ice clouds aligned along NW direction over the Olympus Mons. 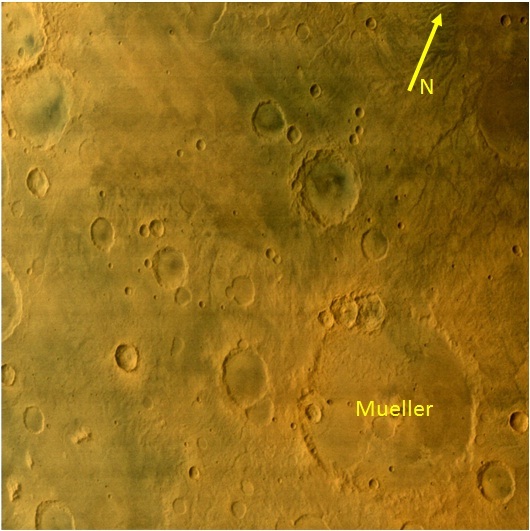 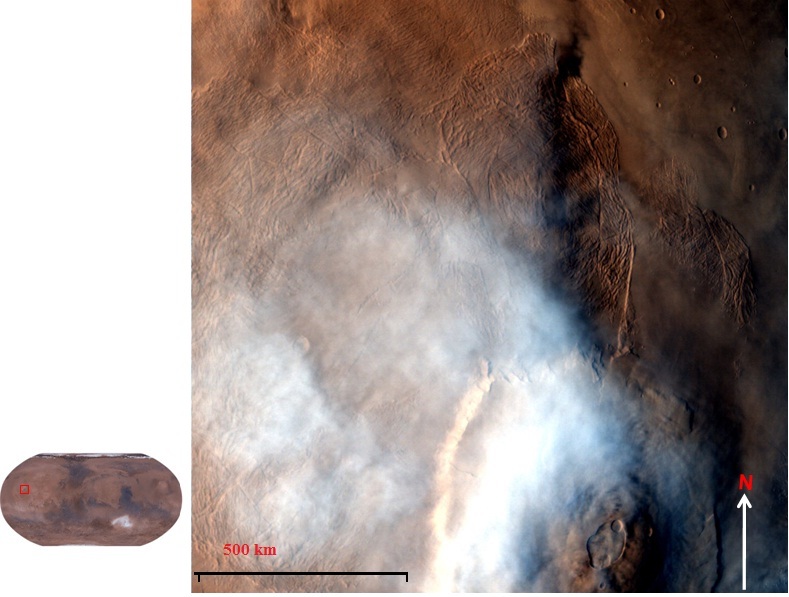 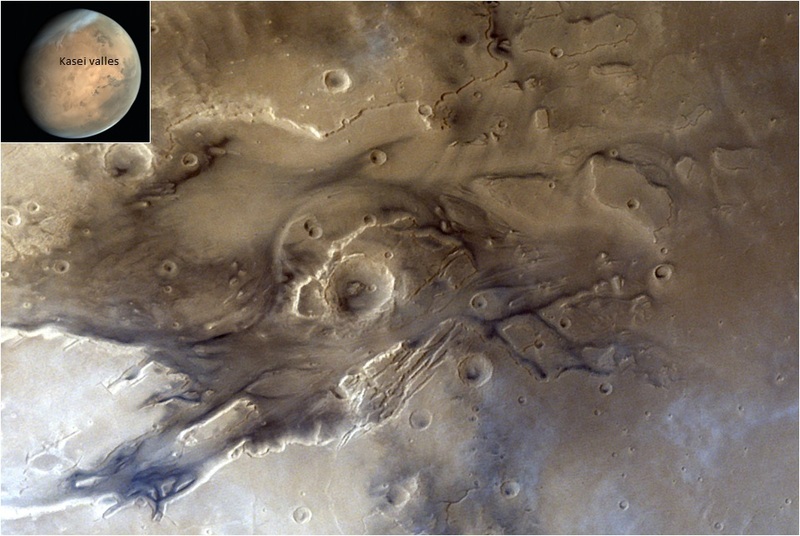 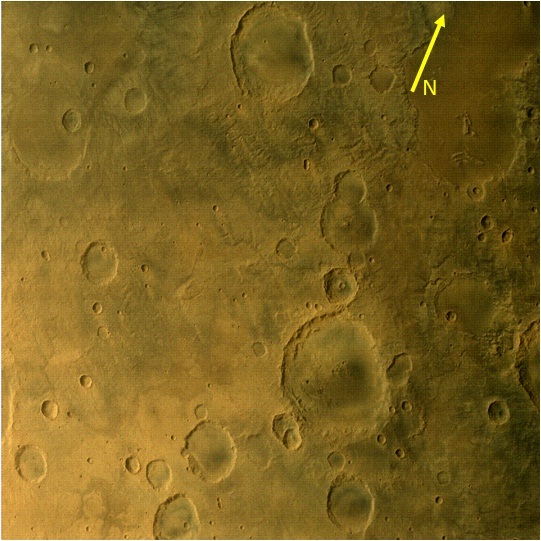 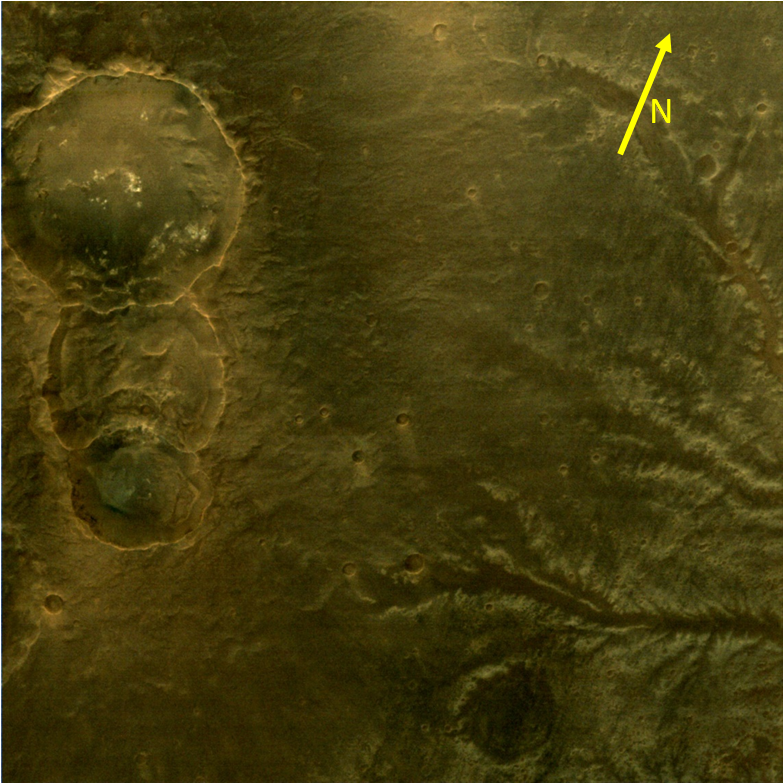 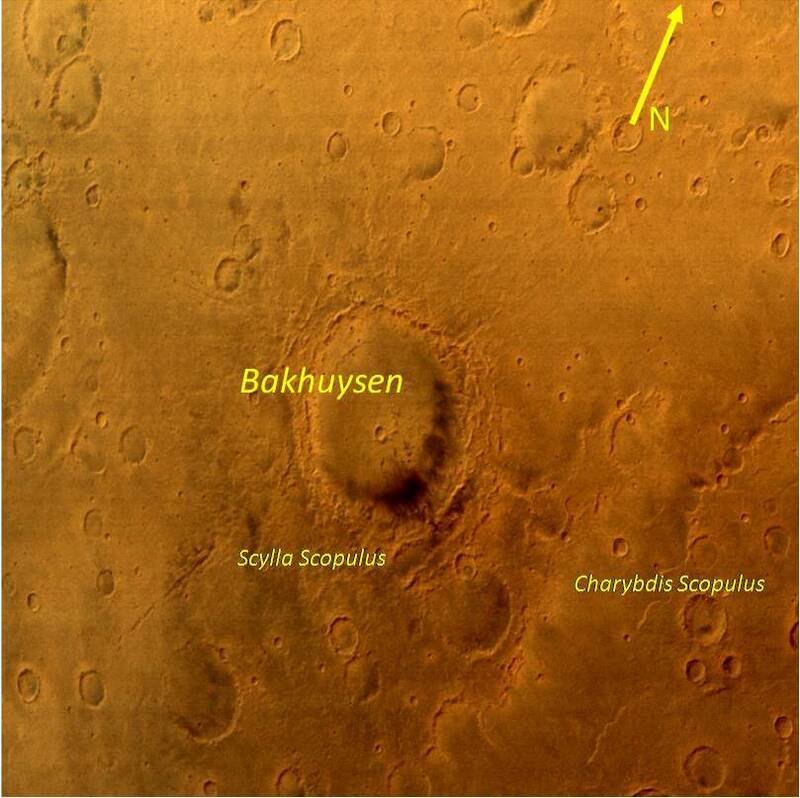 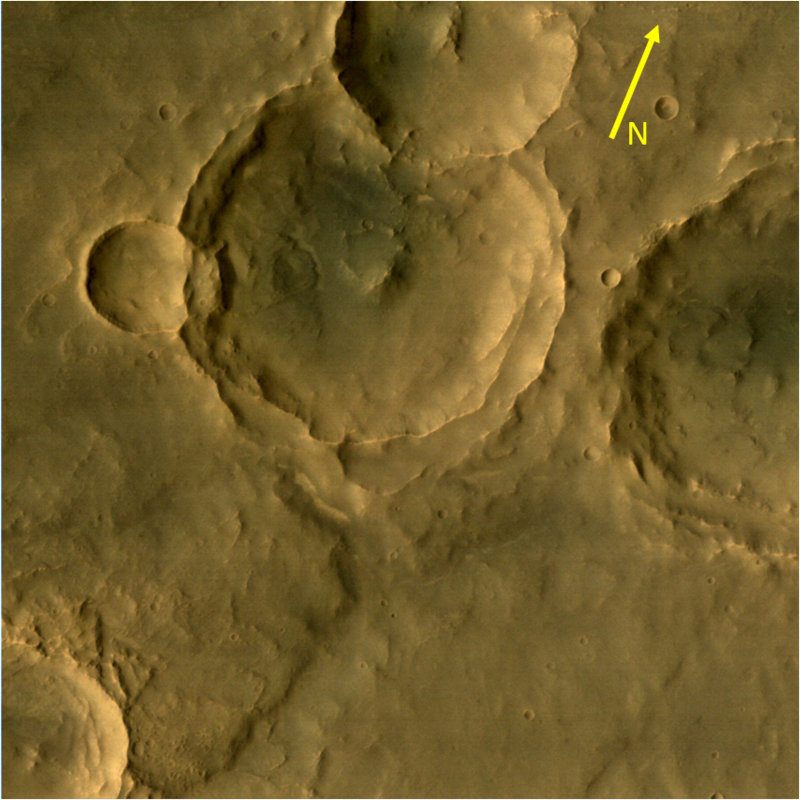 The volcanic flows spreading outward of the Mons and having large fracture patterns are also seen in the background.